Five Podcasts I’m Loving Now! You guys… I might have a podcast problem… THERE ARE JUST SO MANY AND THEY ARE SO GOOD!!! I keep finding more that I want to listen to, and so then I give them a listen! Sometimes I stop after a few episodes if I’m not really feeling it, sometimes I keep going and listen to new episodes as they come out if I think it’s a fine podcast, and sometimes I love one SO MUCH that I will go back through the backlog and listen to the old episodes! Since I keep finding new podcasts that are amazing, I’ve got five more to share with y’all! Give them a listen and let me know what you think!!! 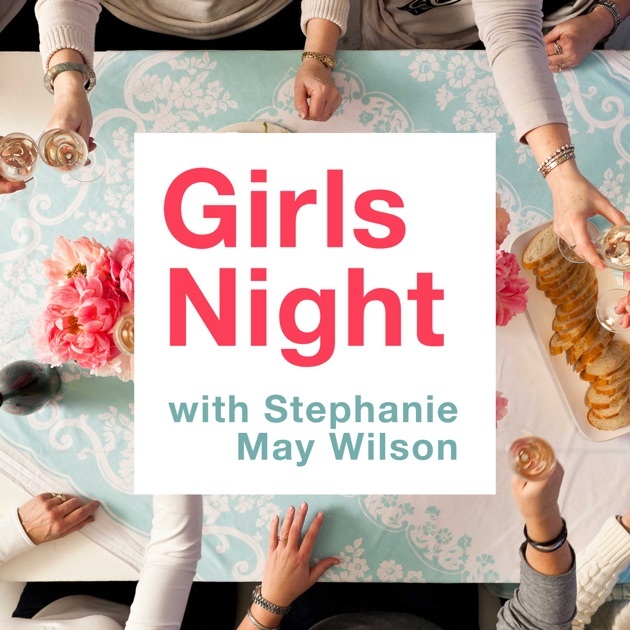 Girls Night with Stephanie May Wilson || This is a newer one for me but I’m really liking it a lot! I first learned about Stephanie when I read her little book The Lipstick Gospel, and she has a fresh, faith-based look at topics that women deal with, like faith and friendships and relationships and working out and having it all! She has her friends come on as guests to talk with her and they’ve all been great so far! Start with: the first episode! There aren’t that many, and it will give you a good intro to herself and the podcast. What Should I Read Next || Book lovers rejoice – Anne Bogel (from the blog Modern Mrs. Darcy) talks to guests about books they’ve loved, books they hated, and then gives them some recommendations on what they should read next! I love when they talk about a book that I’ve already read so I can compare our opinions! Start with: Episode 105 where she talks to Rider Strong from Boy Meets World! It’ll be a good intro and a fun bit of nostalgia for you! 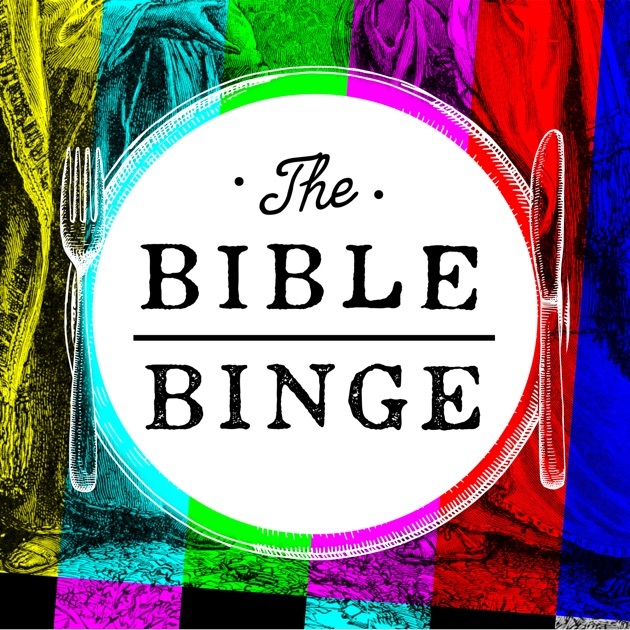 The Bible Binge || This is my FAVORITE one of the list this go round!!! It’s brought to you by the same team from The Popcast (aka Knox and Jamie aka hilarious people that you need in your life ASAP) and they recap bible stories the same way you would recap a movie or TV show. It’s great. The best part is when they cast the bible characters with actors from today. Start with: Episode 1 Adam and Eve. And then prepare to listen to the rest of the episodes immediately. You’re welcome. The Sleeping At Last Podcast || I’ve mentioned this podcast before but you need to know about it again!! Each episode takes a deep dive behind a song and what went into making it, what is behind the lyrics, what instruments were used and why, etc. It’s FASCINATING! Start with: One and the Enneagram. It will really show how much care he puts into his songs and it’s just so interesting! Punch Up the Jam || Ok, I need to start by saying there is a major language warning with this one. And now that we’ve established that, I can get on to saying that if you like songs you love to hate and parody songs, then you’ll love this podcast! The hosts go line by line through “bad” songs and then “make it better” by creating their own version. Again, the language is not amazing, but it can be pretty darn funny. Start with: Mr. Brightside. Everybody loves this song so it’ll be a good first one to listen to!